Note: This is the second of two articles on being prepared in the event the worst happens. The first article (here) dealt with the sudden death of a key employee. This article discusses an on-the-job death. Successful companies know its best to plan for the worst and hope for the best. When we counsel human resources personnel, we do our best to convey the importance of preparation as opposed to damage control — even when discussing unpleasant topics such as employee death. 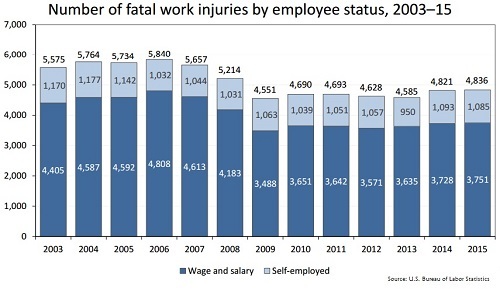 Though it sounds callous, work related deaths are a fact of life. Though they are rare, they happen enough that there are some establish schools of thought on how to prepare for it, what to do when it happens, and how to deal with the aftermath. 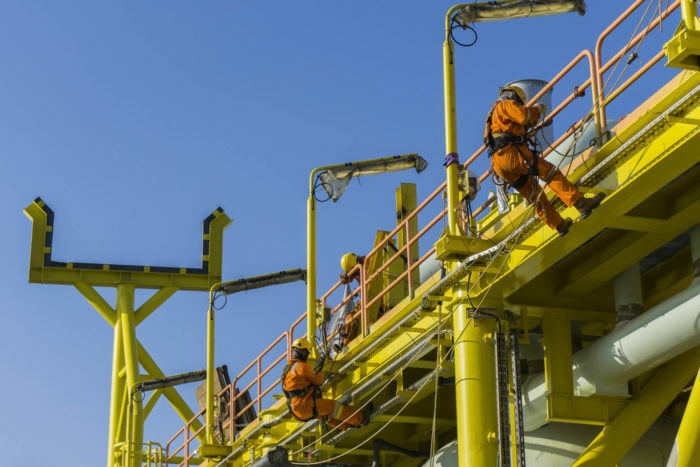 As HR professionals, it’s your job to motivate your company to consider tough questions when it comes to the issue of accidental deaths on the job: Is the company doing all it can to comply with safety laws? What about insurance? How will the loss of a coworker affect employee morale? What happens if the company is sued for wrongful death? For a brutally illuminating example of what can happen when a company is caught flat-footed by death in the workplace, consider the case of Cantor Fitzgerald, the Manhattan brokerage firm whose workforce was decimated by the 9/11 World Trade Center attacks. In one day, 658 employees were killed, two-thirds of the company’s workforce. In the hours, days and weeks following the tower collapse, CEO Howard Lutnick, who had been taking his kids to school at the time of the attack, was thrust into a raging crucible as he and his surviving employees scrambled to meet debt obligations, operate a crisis center, console thousands of grieving family members, and fulfill media obligations. Aided by more than a little good fortune, the company survived and is still in operation today. Charitable donations poured in, and Cantor Fitzgerald was able to establish a foundation that covered the healthcare insurance costs of employee families for 10 years following the attacks. But the recovery wasn’t without setbacks. Family members erupted at announcements that their missing loved ones, still not confirmed dead, would be dropped from payroll, and Lutnick experienced death threats as a result. Most businesses will never experience a tragedy on the same scale as Cantor Fitzgerald, but the case raises practical questions. If you are HR, is your company prepared to meet its obligations in the event of employee death? What are a company’s obligations in such an event? Can you prepare in advance? Here are some important things to think about. If you haven’t already, purchase worker’s compensation insurance. Most states, if not all, require employers to secure worker’s compensation insurance so that employees injured at work are able to receive compensation if they can’t work. But that same insurance, depending on the policy, also provides death benefits for the employee’s family. For example, in California, death benefits under California’s worker’s compensation program provide for $10,000 in burial expenses and $320,000 to families with three or more dependants — money the family would desperately need if it suddenly lost their primary bread winner. Second, in most cases, workers are not allowed to sue their employers for workplace injuries because they are covered by workers’ compensation insurance. However, if a person dies as a result of someone else’s negligence or misconduct, his or her survivors may be able to file a wrongful death claim. The value of these claims can be catastrophic so, make sure that you talk to your employers’ insurance broker to see if your general liability policy will cover the company. Third, push your employer to take workplace safety seriously. Let’s be honest, a lot of entrepreneurs and managers totally disregard safety laws. They don’t care. It’s your job to care. You need to be the counterweight to the risk-takers that run the company. Not paying attention to legally required workplace safety can open a company up to significant civil liability issues and, in some cases, invite criminal charges. For example, following the explosion of the Deepwater Horizon oil rig in the Gulf of Mexico in 2010, which killed 11 workers, criminal charges were filed against British Petroleum involving negligence in the oversight of safety conditions. In 2013 the company pleaded guilty to 14 criminal counts (including 11 counts of manslaughter) and acknowledged that the explosion resulted because the company neglected to investigate warnings that the oil well was not secure. BP was also fined $4 billion. Assuming that you’ve already contacted emergency services and any appropriate authorities, the next step is to notify the employee’s family. Call them. Make sure that the person who makes the phone call is good at communicating with people. If you’re not a naturally empathetic person, have someone else call. While there is no good way to give bad news, if the company delivers the news in a callous way, the family member is likely to tap into their raw emotion and be extremely angry with the company. If police are on the scene, another option would be to have a police officer deliver the news. After that, designate one individual person as the contact for the family (this should probably be a high-level executive). This person should be the only person to speak with the family going forward. This person will find out about the funeral arrangements and communicate that to the workforce. This person should also be the main contact for employees to contact with questions. The goal is to prevent employees from contacting the family directly. You should also designate one person at the company to deal with the media, if any inquiries are made. Once that is decided, send an email to all employees, politely telling them that they are not to speak to the media, that they should direct any media inquiries to the designated person. Death in the workplace may result in feelings of anger, guilt, unease, fears for personal safety plus the pervasive need for someone or something to blame. While pointing out that it would be impossible for a company to halt production in order to allow employees to complete the grieving process, Dyer suggested that employees who witness a fatal accident at work should consult their employer to see if short-term counseling services are available. Considering the psychological well being of a company’s employees in the wake of a trauma could improve morale and help the company recover faster. We recommend you commit in advance to some form of on-site counseling and prepare a list of grief counselors who can respond rapidly to meet in groups and one-on-one. It’s not pleasant, but it’s inevitable. An employee killed at work will have far reaching consequences on morale, production and company finances. The decision an HR manager must make when times are good is whether or not to deal with an unpleasant subject, before the worst happens. With proper planning, the financial, emotional and logistical fallout from sudden unexpected work place death can be minimized. And in the end, this will serve to benefit those who have to pick up the pieces, and get back to work. Branigan Robertson is an employment attorney in Irvine, California. He is a member of the California Bar and the California Employment Lawyers Association. He exclusively represents California employees in lawsuits against employers and focuses his practice on harassment and wrongful termination cases. Visit his firm’s website for more information. Sean Reis is an insurance and personal injury lawyer in San Diego, CA. He attended Rutgers University School of Law. He’s been practicing law for over twenty years and his office handles serious injury cases, including wrongful death and spine injuries. Visit his website here to learn more information.